There is nothing more exciting than connecting with other people who share similar passions and hobbies. This community was started as an effort to connect people. While many things are sacred in the world of wild food forage (especially GPS coordinates :), one thing is usually true – we love to share our experiences and excitement for the hunt! Benzie is not a fan of selfies! Self proclaimed “mushroom geeks”, Trent and Kristen Blizzard, reside in Glenwood Springs, Colorado. They’ve been trekking the woods of the Roaring Fork Valley and beyond with their crazy doodle, Benzie, mostly with mushrooms in mind for about 5 years now. At first a hobby, the hunt for fungi quickly became nothing short of an obsession for these two. Each year they travel to Oregon in May to gather burn morels, and rush back to Colorado to find some late asparagus and eagerly await the beginning of the local season. They are not mycologists but love to utilize the science behind edible mushrooms to help them locate prime terrain. Kristen was introduced to wild edibles and mushrooms while working at Walking Mountains Science Center in Avon. Local friends helped to spread the enthusiasm and when she met Trent, they grew their love of hiking and hunting together. 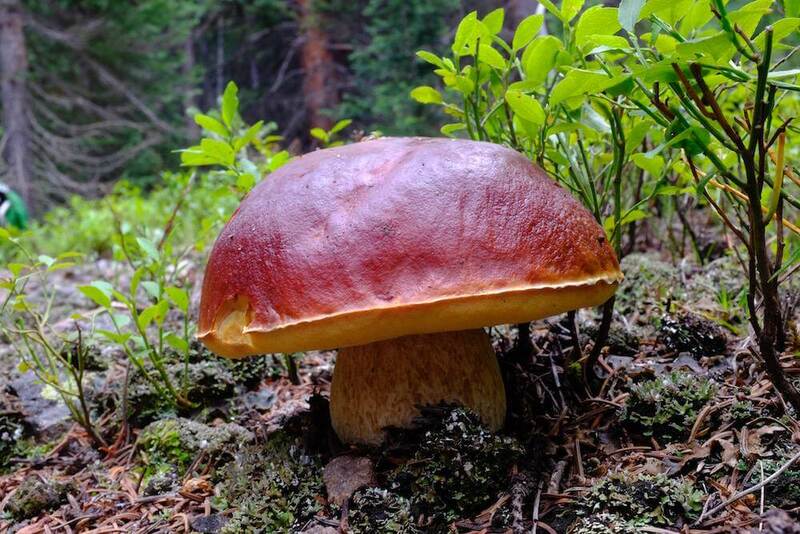 She thinks of mushrooming as hiking with purpose, and loves all of the peripheral benefits – stunning vistas & wildflowers, brisk mountain hikes, camping, discovering more of Colorado, honing her macro photography skills and even exercising that nutty dog. Trent is an avid fisherman, and often ponders whether fishing can be classified as “foraging”. Is a fisherman a modern forager? We say yes – you may see some fishing posts spring up here and there on the site in the future! He is also a master of all things Google, including maps. Trent is the reason these two are so successful at scouting new locations and regularly finding the bounty they seek. Their fondest wish is that in some small way, they can help you discover the same joys of nature that they cherish.